Now here's a story of how Chicagoland Flooring saved the day! I'm currently renting an apartment, and in the process of buying it directly from the landlord. We were less than 24 hours from closing on the sale and signing all the paperwork when all of a sudden, with just hours to go, my fiance walked into the kitchen to find the wooden floors throughout our kitchen had buckled for no apparent reason! So we called Chicagoland Flooring for an immediate inspection. They were there in less than 2 hours, immediately found and stopped the leak from the fridge, and gave us a number of options of how we might fix the floors. The service from Chicagoland Flooring was absolutely fantastic. We had just enough time to call our lawyer and postpone the sale. If we hadn't found the buckling or had it inspected by a qualified inspector and had gone ahead and bought the place, it could have cost us thousands of dollars in repairs. I can't recommend them enough for hardwood inspections. It's been an absolute pleasure to work with the team at Chicagoland Flooring. We live in a 100 year old building in Lincoln Park and have very old hardwood floors that are very squeaky in certain spots. We talked with at least half a dozen companies who all said there is nothing that can be done besides redoing the subfloors and hardwood - and a $20k+ investment. I spoke with Chicagoland Flooring who wanted to try a few different approaches from above before going that route. They asked me to send pictures and a video so they were better able to diagnose and give me a realistic idea of work and an estimate. They were incredibly responsive over email and were able to come in and do the work the next week (my schedule conflicts not theirs). He was able to identify the squeaky areas and alleviate 99.9% of the noise. The repair job was absolutely wonderful and these guys were a pleasure to work with. Chicagoland Flooring is the real deal, a respectable and honest company and I HIGHLY recommend for any and all flooring needs. The project involved reviving very old, nasty looking maple wood floors that we discovered after removal of many junk layers. We were not sure if we could save them as they looked really beaten up, covered with stuff. We got honest evaluation from Darek with Chicagoland Flooring about our options and expectations. In the end we decided to salvage, our vintage, irreplaceable floors. After some magic from skilful craftsmen, working three days our original, old growth maple started showing its beauty and color. Our maple floors have a lot of character but we love them this way. We are so happy with the end result. We are thankful for great advice and great work. Chicagoland Flooring was the only company we spoke with who understand our needs and provided us refinishing options. We have some warn spots on our floor that aren't bad but we wanted fixed. We assumed it would be a BIG re-sanding project and it was according to all of the other contractors we contacted. But Chicagoland suggested an alternative. It is half the cost, looks great and is high quality workmanship! Thank you! I am so happy with this small job done on my older home original? hardwood floors. They were able to repair some defective pieces without sanding of the entire flooring. These repaired pieces look really close, just a little bit different, but they warned me before. I liked their honesty, and fast follow up. Our painter messed up our hardwood floors. We should not let him do it. We called Chicagoland Flooring as they were NWFA certified contractors. Eric was out promptly to review our situation. Unfortunately, full refinishing was required. So Chicagoland team was sanding the next day and we were able to move in as scheduled. Thank you. 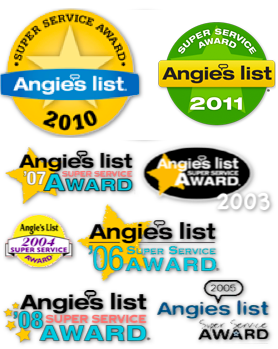 Customer Feedback: Very responsive, certified floor professional with reasonable prices. Our old, vintage hardwood floors look so much better after sanding and refinishing than I could have even imagined. Some floorboards were replaced and you can barely see the difference. All this was done with professionalism and high standards. Customer Feedback: These guys were great! We had our hardwood floors re-finished by someone else and they looked terrible, and we had only a few days before we had to move in. We called Chicagoland Flooring and they came out right away and re-finished everything. Its looks great and I would definitely recommend them to anyone! Customer Feedback: I looked around for competent flooring contractor for repair of a few broken boards in our old condo. Most would not come to small job or they wanted to replace whole room. After emailing Chicagoland Flooring pictures of our bad sections they provided us with quick estimate range. Within two days they were able to come over and replace bad boards. Repair looks really close only slightly different (they warned us about it) and they even came back one more time for extra coat to make it look better. Customer Feedback: Chicagoland Flooring came to repair, buff and seal floor. Chicagoland Flooring was the only company we spoke with who understand our needs and provided us refinishing options. We have some warn spots on our floor that weren't bad but we wanted fixed. We assumed it would be a BIG re-sanding project and it was according to all of the other contractors we contacted. But Chicagoland suggested an alternative. It is half the cost, looks great and is high quality workmanship! Thank you! Customer Feedback: They sanded and refinished 3 bedrooms, upstairs hallway and flight of stairs. Also had 2 rooms floors buffed. We had an extremely tight schedule b/c we purchased a home and had 1 week to get this project completed before we moved in and the manager was very accommodating. They followed up several weeks after the job to make sure we were happy with the floors and it could not have been a better experience. This company has it right...very skilled employees and also very good at customer service. Customer Feedback: They were very professional and knowledgeable. They stressed that they were trained by National Wood Flooring Association and it looked like that it made a difference.We talked to them about our situation and they were really interested in giving. They were very professional and knowledgeable. They stressed that they were trained by National Wood Flooring Association and it looked like that it made a difference.We talked to them about our situation and they were really interested in giving us honest advice. After using their special testers and moisture meters, they suggested that we should wait a few months before sanding floors. We had just water leak repaired in the crawlspace and floors were not dry enough. Other companies gave us quick quotes for quick job.We liked that they gave us a formal written estimate using email. They charged a very reasonable price. After a few months they tested floors again and floor were ready. They started and finished the job in the time that was scheduled. Customer Feedback: We looked online for a good flooring company. Once we found out Chicagoland Flooring the whole process was very easy. Customer Feedback: They refinished maple floors in our kitchen and family room. They were extremely prompt and courteous. They did an excellent job on the floors. They told me they would have to do touch up to the wood, and they dinged up the floors a little bit and had replace some of the floor. They were really nice and the floors look beautiful. Customer Feedback: They repaired some damage on a hardwood floor. They also put another layer of polyurethane on a floor. The company is very good at repairing damage floor. The manager said it may still be visible when he was done but you couldn't tell where was the damage. Customer Feedback: The owner of Chicagoland Flooring came on time on a very snowy day in Chicago to give me a quote on refinishing about 650 square feet of wood flooring. He was very knowledgeable and patient with me, he explained the process in detail. He even took an interest in other problem areas of my new home that were worrying me. He followed up well. I am happy I used their service even though I had a quote was lower. Overall, I do recommend this company. They take pride in their knowledge of wood and wood refinishing. DESCRIPTION OF WORK: I had all of the floors in my condo buffed and polished and the master bedroom floors sanded, stained, and polished. This was about 1900 Square feet. COMMENTS: Chicagoland Flooring was fantastic! The owner spent a lot of time explaining what he could and could not do and made sure he had a full understanding of the job. In fact, my painter who was also there commented on his professionalism and knowledge. He actually did some extras, which was a pleasant surprise. Though I got another quote that cost less, I felt more comfortable with Chicagoland Flooring and the quality of the work he was going to perform. DESCRIPTION OF WORK: Removal of old flooring and installation of new hardwood floor in large family room. Buffing and refinishing of floors in kitchen, living room, and hallway. It was a difficult job requiring removal of several lawyers of old flooring, rebuilding of subfloor, removal and reinstallation of baseboards, matching existing floors, leveling new floor to meet uneven levels of old flooring, and building new thresholds. They also hauled away large amounts of debris, moved my furniture into and out of the rooms. COMMENTS: Great job. The owner and his crew were polite, helpful, professional, and the floors look great. Old floors look like new, matching new floors very well. The job took a little over a week, and cost more than original estimate due to unexpected condition of subfloor. Everyone showed up on time, and cleaned up when they were done. They were very responsive to all my inquiries and requests. DESCRIPTION OF WORK: Sanded and refinished stairs, three bedrooms and hallway--entire upstairs approximately 900 square feet, applied stain and two layers of top coat. COMMENTS: This company was extremely pleasant to deal with and professional from start to finish. The owner responded quickly and communicated by email (which is a big plus) with general information about the costs and process. The workers were likewise pleasant and professional and the job was done exactly when it was scheduled, despite the fact that they had little notice and we had a tight deadline before we had to move furniture in the house. The owner left us some floor cleaning solution after the job was completed. All in all the floors look beautiful and it was a great experience. DESCRIPTION OF WORK: Repaired broken floorboards on 100-year-old hardwood floor. COMMENTS: They came out quickly, did the work quickly and were within quote. Followed up to make sure I was happy. I've used them before and will continue to do so. Great price too. DESCRIPTION OF WORK: Repaired and patched a maple bathroom floor. Screened and re-coated bath, kitchen and hallway floors. COMMENTS: I called one day and the job was finished the next! Everything was straightforward and easy. I'm very happy with the work. DESCRIPTION OF WORK: We had two upstairs bedrooms refinished. The company removed the old linoleum first, sanded/polyurethaned, and also installed new flooring in a sun room where there had not been hardwood before. COMMENTS: Overall it went well and we are very pleased with the results. The work took two days longer than expected, because of the linoleum removal and the new installation. We had a good consultation and service from the owner of Chicagoland Flooring, who prepared us and gave us heads up and options beforehand. His workmen were courteous and did high quality work. DESCRIPTION OF WORK: Removed old carpet, installed solid wood flooring in three bedrooms and hallway. COMMENTS: Chicagoland Flooring was not the cheapest nor the most expensive ($1500 less than my most expensive bid. Just the BEST. They are a small outfit and provide the BEST customer service and have outstanding knowledge. We have a 3 year old row house and was concerned about the quality of the installation and matching existing wood floors. Honest and trustful. They were on time, completed in three days, were very neat and I ALWAYS got an update phone call everyday on the works progress. Great work! Outstanding service and installation. I was told that there would be nicks to our walls and a lot of dust because of some tight quarters. They were VERY careful and very clean. We had NO damage from them and they had to move the wood floors up three flights of narrow freshly painted stairs. DESCRIPTION OF WORK: I'm selling my house and have a dishwasher leak which has impacted my wood floor. The representative spent 15 minutes speaking with me about the best course of action, possible options and possible costs. He was very knowledgeable and reassuring. If I need to do the work, I know where I'll go. This is important since I've relocated out of town. DESCRIPTION OF WORK: Carpeting removed and hardwood floors repaired, sanded, and refinished in 2 large rooms, and entranceway, and hallway. COMMENTS: Chicagoland Flooring did a great job! The floors look great. They had to be repaired in several spots, and you can't tell where the repair work ends and the original floor begins. DESCRIPTION OF WORK: Sand, stain and 2 coats of top coat on first and second floor oak flooring. COMMENTS: Experience was extremely positive from easy to use web site, follow though on e-mails with questions, estimate and formal work. Work was performed on time and to the schedule. Overview was provided through the process. Quality of finished work was exceptional. DESCRIPTION OF WORK: Living room and dining floor was patched, sanded and refinished. COMMENTS: The experience was great. Chicagoland Flooring had more information about the different finishes what they would look like. When 4 other refinishing companies could not tell me why, the owner helped me understand why I did not like the way the floors in my old house were refinished. He showed me different finishes on my floor so I could choose what I liked best. I would recommend him to all. DESCRIPTION OF WORK: Refinished floors in living, dining room, 3 bedrooms (which had been under carpet) and staircase. COMMENTS: Arrived the day they were scheduled. Took slightly longer than estimated, but we also changed the requirements to add more work (staining). Chicagoland Flooring was very easy to work with and helpful. He found and odd crack in one of the boards 2 weeks later and he sent someone over to fill the crack for free. DESCRIPTION OF WORK: Three rooms were stripped and refinished. The floors especially in one room where water damaged and had many screws which had apparently been put in to relieve squeaking. The owner returned my call quickly after my original inquiry and he followed up with a personal visit for an estimate; the work was scheduled for the next week. Workers came when expected, and the owner stopped by to check on the progress and to show me the results of several stains on the stripped wood. I chose wax rather than a varnished finish and the shine did not appear even in the reflected light. His worker came back the following Monday and worked for hours. The owner himself joined them later and worked for hours until it seemed perfect. He is a delightful young man, a pleasure to know and work with. COMMENTS: Chicagoland flooring did a great job on my floors. The owner is a very personable young man who is easy to work with and follows through on what he says. The floors are beautiful and the workers were friendly, polite and very respectful. It was a great experience. The fee was reasonable, cleanup was through, and there were no surprises. I definitely would use them again and recommend them wholeheartedly. DESCRIPTION OF WORK: Sanded and refinished parquet wood floor in large living room/dining room and master bedroom. Replaced some parquet tiles that were stained. COMMENTS: Chicagoland Flooring crew are amazing. I never thought our floors could look so beautiful! Tow of my neighbors had their floors done, and they paid more and the work isn't as good. I would not hesitate to hire him again. COMMENTS: These guys were great. They were unbelievably responsive. Chicagoland Flooring is just a rally great to work with. We encountered some problems with the foundation flooring being really warped and slanted in one of the rooms (which we didn't notice until we started putting down the new floor.) The owner came to me saying that he really thought it looked bad to have such slanted floors and that I wouldn't be happy in the end and had a number of options to fix it (which he did and it looks fantastic). I really trust these guys, they give 110% and really go out of their way to do a fantastic job. They are craftsmen and aren't happy with a job unless they think it's perfect. DESCRIPTION OF WORK: They sanded and refinished hardwood floors in the kitchen, dining room, family room, living room and foyer as well as a staircase and landing. They also repaired several loose boards. We have three types of wood in the house: maple, pine and oak. All (now) look beautiful!! COMMENTS: Chicagoland Flooring is extremely professional. The owner was able to come out for an estimate the day I called. He then spent 45 minutes helping me explore my options. I never felt like I was under any pressure to go with the more expensive option (though I ultimately did). He instilled great confidence in this first-time home owner and din not disappoint. He and his crew did a fabulous job on our floors. I would highly recommend them. DESCRIPTION OF WORK: Carpet removed in family room and hardware floor installed. Hardwood floor in the kitchen refinished with water based finish. COMMENTS: The manager of the company was my main contact. He was extremely professional throughout the entire process. The individuals doing the work were prompt and hard-working. I expected to have dust throughout the house. They did such a great job of preventing it -- I was incredibly pleased that such a major job could be done I a way that did not cause any inconvenience to me. The floors look great. DESCRIPTION OF WORK: Installed new hardwood floor for foyer, living room, dining room & kitchen. COMMENTS: They did excellent work, they were very responsive to my questions, they also did extras that I wasn't charge for. They started early on the job and helped husband tear out the old floor. DESCRIPTION OF WORK: Refinished and replaced hardwood floors. COMMENTS: Very impressed with professionalism. Brought in samples and the quality was very good!